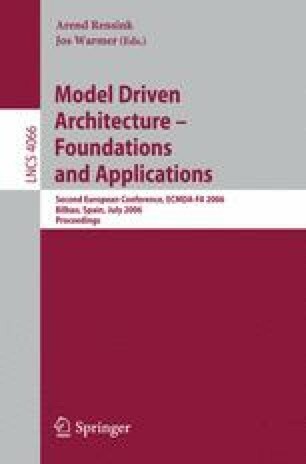 We present a case study that utilizes UML modeling methodology for typical business applications. Such applications generally contain a GUI front-end for manipulating database tables and are object-relational systems that deal with both relational databases and object-oriented technology. To model such applications, we use UML Profiles and metamodels based on a three-tiered application architecture for the different stages of the development lifecycles. The benefits of the model-driven approach include the possible use of the models for maintenance processes such as incremental code generation, updating test cases, and documentation. These models also enable developers to validate the application’s flow by simulating its behavior through model execution.